Violinist Danielle Maddon is well known to New England audiences for her vibrant playing and broad experience as a soloist, concertmaster, recitalist, chamber and orchestral musician. Performing on both modern and period instruments, Ms Maddon has appeared in venues including Carnegie Hall, Vatican City, and Tokyo's Suntory Hall, in repertoire spanning four centuries. Critics have hailed her playing as "magnificent", "stunning", "masterful", and "heartfelt". She performs with Boston Baroque, Emmanuel Music, the Boston Pops, the Boston Musica Viva, Cantata Singers, the Boston Cecelia, and other groups. 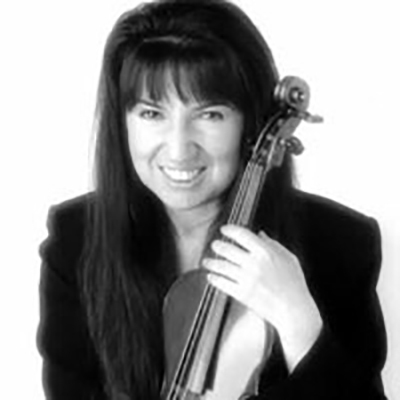 As concertmaster and soloist for the New England Philharmonic under Richard Pittman, she has performed 16 violin concertos by modern masters including Berg, Harbison, Dutilleux, and Lutoslawski. In the 2013- 2014 season, she gave the world premiere of a new violin concerto by Bernard Hoffer, commissioned by the New England Philharmonic and written for her. In April 2015, she premiered a new concerto by Andy Vores, written for her, and was a soloist with the Aston Magna Music Festival for concerts featuring the music of Vivaldi and Bach. In 2017 she premiered a new violin concerto by NEP Composer in Residence David Rakowski, commissioned for her by the New England Philharmonic.